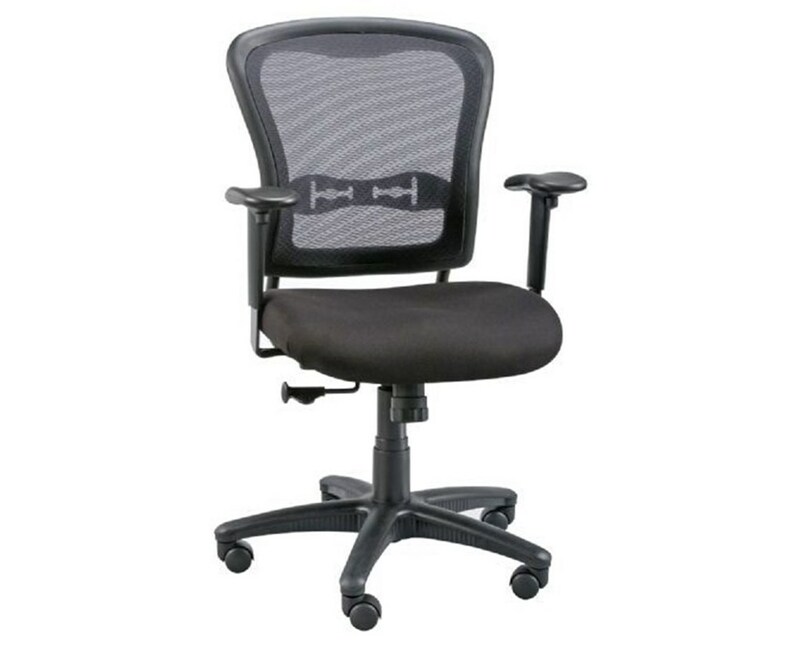 Adjustable office height 18" to 23"
The Alvin Mesh Back Paragon Manager’s Chair is a stylish and ergonomically designed chair with easy to adjust rocking tension that allows it to be locked into upright position. Its depth-adjustable mesh backrest is made of tightly-stretched, high-grade nylon and provides 20”W x 21”L solid back support. It features a 20"W x 18"L molded foam seat with 3½-inch thickness and adjustable tilt angle. With two-to-one synchronization, it automatically tilts at one-degree angle with every two-degree backrest recline. This manager’s chair is equipped with pneumatic height control that permits easy and quick seat height adjustment from 18 inches up to 23 inches. It comes with padded armrests that has adjustable height and width and offers seven positions for ultimate comfort. 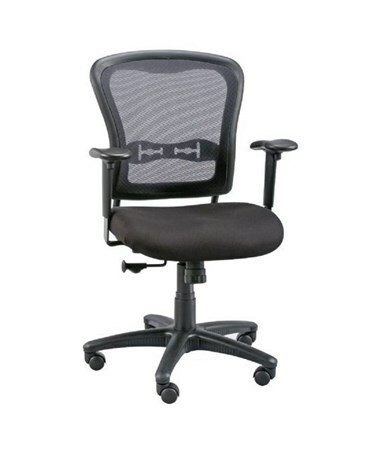 The Alvin Mesh Back Paragon Manager’s Chair, supported by a durable reinforced nylon base that is 26 inches in diameter, is stable and sturdy. It includes five hooded casters for smooth gliding ensuring total mobility at all times. Upholstered in sleek black fabric, this chair is suitable for any office environment. Adjustable Height 18" - 23"